Many people look within themselves, mining their thoughts and feelings for the voice of God. And yet God has already spoken. The incarnate Word makes himself known in the written Word, and this communication keeps us personally connected to him. We need nothing else. 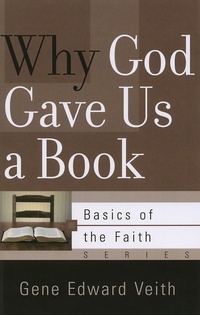 Gene Veith makes this clear as he examines not only the sufficiency of God s Word, but also the flawed thinking of those who try to add to or detract from it. This passionate, personal booklet is a call for all of us to return to God s Word as our one and only authority in faith and practice.